At a conference on “Design, Construction & Operation of LNG/LPG Ships” arranged in Glasgow, Scotland in November 2017 by the Royal Institution of Naval Architects (RINA), Marcel Negraia from Icepronav Engineering SRL presented a paper on “The Practical Impact of the 2016 IGC Code Modifications on a VLGC Hull Design”. The paper was co-authored by his colleagues Lucian Anghel and Ionel Hristache. It describes ICE’s experience of modifying an earlier design of an 84,500 cu.m. LPG carrier to meet the newest gas ship codes. 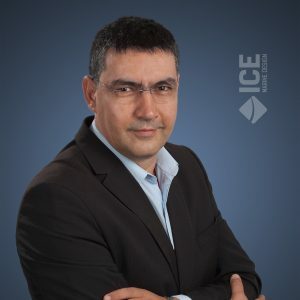 ICE is a long-standing Corporate Partner of RINA and is happy to support this highly respected professional organisation, which is based in London and has members world-wide.